Born in Prague, Czech Republic, May 19th 1975. After finishing the Dance Conservatory in Prague in 1993 he joined the Nederlands Dans Theater 2. In 1998 he joined the main group, NDT 1 under the direction of Jiri Kylian. There he remained until 2004. During his years with NDT he has worked with many choreographers. Mainly with Jiří Kylián, Ohad Naharin, William Forsythe, Paul Lightfoot, Mats Ek, Nacho Duato, Johan Inger, Hans van Manen and many others. He has performed in many countries in Europe, Asia, North and South America, Africa and Australia. In 2004 he decided to continue as a freelance dancer and choreographer. As a dancer he has been working, among others, with Saburo Teshigawara, with whom he created several pieces (New National Theater in Tokyo 2005, 2006). For one of his works he has been nominated for the Dancer of the Year 2005 award in Cannes, France. As well as performing (improvisation events) with Michael Schumacher and Cora Bos-Kroese on many occasions (Holland Dance Festival 2005, 2007 and the C-scope events in The Hague) He has been invited to perform at various gala performances in Europe and USA. In 2005 he performed at the opening ceremony of the Isamu Noguchi’s Moerenuma Park in Sapporo, Japan. For the Finnish Film Foundation he has played and danced the role of young Nijinsky in the movie “Vaslav Nijinsky - Invisible Power. To be released at beginning of 2008. 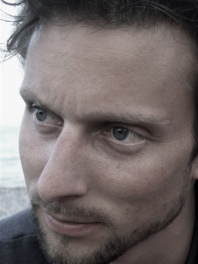 As a choreographer he has created several works for Nederlands Dans Theater 2, Copenhagen International Ballet, Laterna Magica company in Prague, the Korzo Theater in The Hague and for the Station Zuid production company in Holland, which will present his full-evening piece on tour throughout the Netherlands in 2009. Since 2004 he is also active as an assistant to Mr. Kylián. He is setting his pieces on other companies (Basel Ballet, Finnish National Ballet, Czech National Ballet, Poland National Ballet, Deutsche Oper am Rhein, Düsseldorf, Ballet of La Scala in Milano) and teaching classes at the Rotterdam Dance Academy, Laterna Magica company or Master classes during the Houston Dance Salad Festival in 2005 and 2007. He is as well involved in working with many amateur groups in the Netherlands and Belgium as a part of the “Go with the Flow” project (design to allow the amateur dancers to learn, experience and perform a work from a professional dancer-choreographer). Copyright © 2003-2008 International Ballet Masterclasses in Prague. All rights reserved. All images on this site are copyright © Daria Klimentová unless otherwise stated, and may not be copied or reproduced without permission.